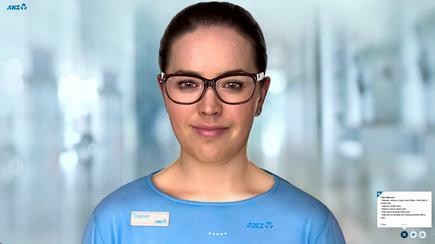 Jamie, ANZ’s new digital assistant, starts work this week to help customers with some of their general banking queries. The avatar has been programmed to answer questions on 30 of the most frequently searched-for topics on the Help section of anz.co.nz. 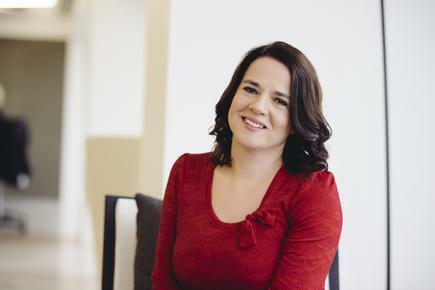 “Through the trial, we want to see if Jamie will appeal to those who might not be as comfortable using our other digital channels,” says Liz Maguire, head of digital and transformation at ANZ Bank. The digital assistant was developed in partnership with Soul Machines, which has made a name globally in humanising artificial intelligence. “One of the things that is really exciting about this project is that we are starting to understand some of the benefits we can deliver for ANZ’s customers,” says Greg Cross, chief business officer at Soul Machines. ANZ says Jamie is ‘brought to life’ using Soul Machines’ Human Computing Engine (HCE) – a virtual nervous system that is modelled on the way the human brain and nervous system work. The HCE allows Jamie to express personality and character in a human-like way. ANZ says initial feedback from staff and customers has been positive. Around 90 per cent of customers who have spoken to Jamie think it is a good idea for ANZ to introduce the technology. Don Whiteside, head of emerging technologies at ANZ, says initially, the team considered building a chatbot. He says a member of their team, Kirstin Marcon, specifically writes the content for Jamie. Marcon has a background in filmmaking, and is experienced in writing scripts that portray believable characters. He says Jamie is very much in trainee mode, and even wears a trainee badge. “We train Jamie from the saved transcripts of conversations with customers. She doesn’t learn autonomously yet as we don’t want her to learn any bad habits,” he says. Jamie has a human face, voice and expressions. Jamie can answer general questions and does not require any specific customer information. ANZ Bank is among the growing number of organisations deploying digital assistants to deal with common customer queries. Among these is Air New Zealand, which introduced ‘Sophie’ at the US launch last year of its global marketing campaign. 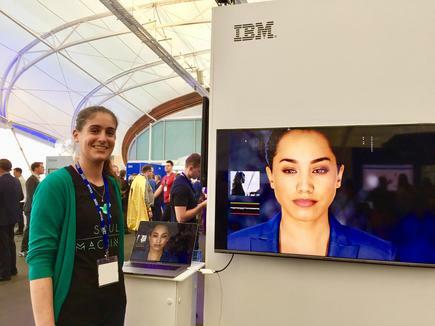 Sophie underwent training prior to the US launch, including teaching her about New Zealand and Air New Zealand, tweaking her Kiwi accent and perfecting her facial expressions.The airline's first foray into AI was through online chatbot Oscar to assist customers with commonly asked queries. Auckland Airport also deployed Vai, which stands for Virtual Assistant Interface (Vai), its 'digital' biosecurity officer. “Vai frees up our officers’ time so they can deal with the really important aspects of their role,” says Brett Hickman, detection technology officer at the Ministry for Primary Industries (MPI). Dr Elinor Swery, solutions architect at Soul Machines, talks about the work that goes behind the development of digital humans. “It is a complete process, like employing a new person in your company,” says Swery, who spoke on the topic at the IBM Think NZ in May. Google AI, which is used by ANZ’s Jamie, or IBM Watson provide the expertise in the natural language process used by the digital humans, combining the power of emotional intelligence and AI. She says this involves creating the digital DNA of the person, a virtual nervous system that will give them the autonomous power to recreate the way they interact with humans, including their mannerisms and facial expressions. The benefits are immense, she says. For instance, one of the projects they worked on was for a provider of services for the disabled. "That means people who do not normally have access to this information can interact with them in the comfort of their own home, 24x7, in a way that is suitable for them," says Swery. In a recent report, Gartner predicts through 2022, organisations that use AI augmentation, such as digital assistants, as an essential element in their digital workplace, will boost employee Net Promoter Score by 20 per cent. During that time too, one in five workers engaged mostly in non-routine tasks will rely on AI to do their jobs, according to Gartner analysts Manjunath Bhat, and Matthew W. Cain. The Gartner analysts point out all jobs will have both nonroutine and routine work. Plan to augment, but not completely replace, traditional human-facing channels for support functions to avoid negative impact on customer satisfaction. “Creative aspects of work tend to produce eustress (as opposed to distress), a stress response resulting from positive emotions such a sense of accomplishment or empowerment. As AI takes the monotony out of work, employees can unlock latent skills by shifting focus to more creative, nonroutine aspects of the job,” they write. The Gartner report also cautions organisations to avoid the temptation of eliminating humans in the work loop. “Depending on the nature of the change, the AI model may be slow or unable to react to fundamental assumptions that applied when it was trained. Much damage could be caused before the human-machine disconnect is noticed,” it states. Thus, the report recommends application leaders responsible for the digital workplace to “plan to augment, but not completely replace, traditional human-facing channels for support functions to avoid negative impact on customer satisfaction. They should also “use AI process automation to scale business processes, but rely on deep domain expertise in people to improve the quality of automation."